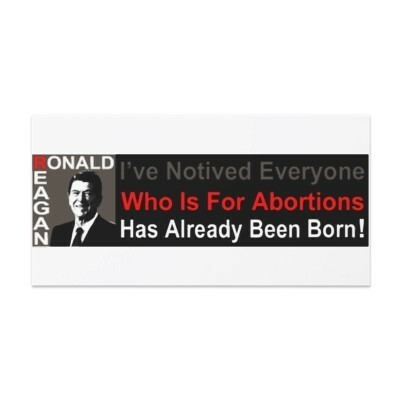 Ronald Reagan and abortion.. As said.. Wallpaper and background images in the U.S. Republican Party club tagged: republican conservative abortion pro-life ronald reagan. I think the word is supposed to be "noticed." But this is a good pro-life message. Another good one is "Choose life. Your mother did."